The Smart Shopper Deal of the Day is at Suddenly Slimmer Spa, where you can get discounts on services through Thursday, January 24. I don't ever need a reason for a little pampering, other than it costs too much. If you're the same way, I have a solution: a Smart Shopper Deal of the Day that will leave you feeling relaxed, healthier and more beautified. 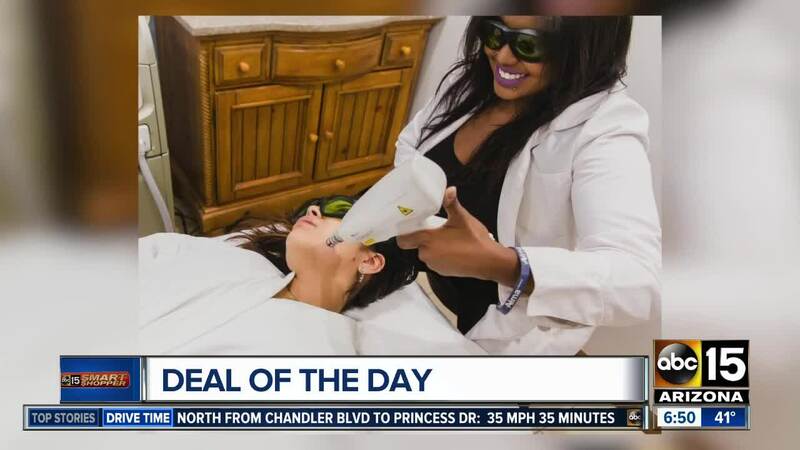 Suddenly Slimmer Day and Med Spa is one of the largest in the Valley with 12,000 square feet of space and more than 75 body and wellness services including massages, facials, body wraps, laser hair removal, and weight loss options. They even offer Coolsculpting , which is a non-surgical treatment that is supposed to freeze away unwanted fat. Right now they are offering a deal where you buy one cycle and get the second for half off. Lets talk even more savings for Smart Shoppers. Pay $59 for the Brightening, Dry Skin or Acne Facial . The regular cost is $115. The Rose and Lavender body scrub would normally cost $145, but Smart Shoppers will pay $75. They are also offering a one hour Cellulite Cupping Massage for $79. That'll save you nearly 50 bucks. To get these discounts, just book online by Thursday at 6 p.m.
You have until May 1st to complete your service.